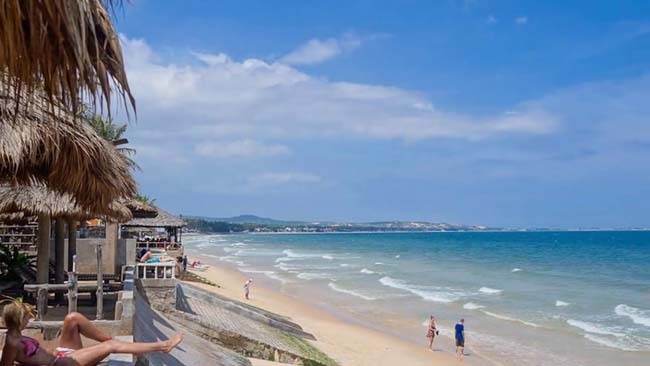 Mui Ne is a famous tourist attraction of Phan Thiet with the long white sandy coastal line, crystal-like water, and long lines of green coconut trees. On traveling to Mui Ne, tourists will not only have the opportunity to contemplate the beautiful scenery but also enjoy delicious seafood dishes. This is also the pride of the residents here. How to go to Mui Ne? You should choose our service or Phuong Trang, Sinh Café Bus lines because they will pick you up and let you get off at Mui Ne’s resorts. For common train: The ticket fee is about 110.000 VND (about 4.82 USD) with the symbol SPT for trains departing in the morning and PT4 for trains departing in the weekend evening. You can buy the ticket at Saigon Train Station – 01, Nguyen Thong Street, District 3. For high-quality Golden Train: the ticket fee is about 160.000 VND (about 7 USD). The trains depart every morning. The telephone number of Golden Train: 08.35261685 – 08.35262724. If you choose to travel to Phan Thiet by train, then you should get off at Phan Thiet Train Station instead of Muong Man Train Station. Because Muong Man station is much further from the city center. On the trains, you can even buy bus tickets, which are about 30.000 VND (about 1.31 USD) for each passenger. Those buses will pick you up at the train station and take you to Mui Ne’s resorts. Traveling by plane is the most appropriate option for tourists from Hanoi: you can depart from Ha Noi to Ho Chi Minh City, then, travel to Phan Thiet by coaches or trains. On the other hand, you can depart from Ha Noi to Nha Trang, and travel to Phan Thiet from there. 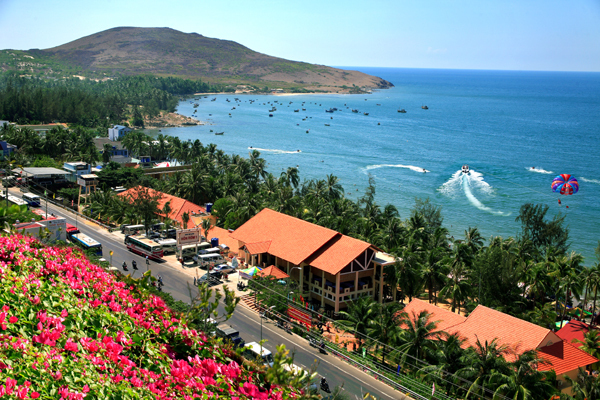 You can travel to Phan Thiet at any time in the year. The weather of Phan Thiet is so unique with a lot of wind and sunshine without storms. However, the most appropriate to visit this city is in June and July. Best things to do in Mui Ne? Swimming: There are many clean and beautiful beaches at Mui Ne. Those beaches are always great tourist attractions of the city. Hon Rom Beach: This beach is such a precious gift of Mother Nature with the picturesque and spectacular landscape. The attractive highlight of Hon Rom is the diversity of awkward rocky statues, which is opposite to the beach. Especially, in the monsoon season, the whole mountain is covered by the luxuriant green of nature while in the dry season; the grasses are as yellowish as the sunlight. Looking from afar, the mountain looks like a giant bunch of straw. This is also the reason why this place called “Hon Rom” (which means the island of straw). Fairy stream: This region is also called “the Fairy Land” by tourists. The Fairy Stream is a little stream located near Hon Rom. 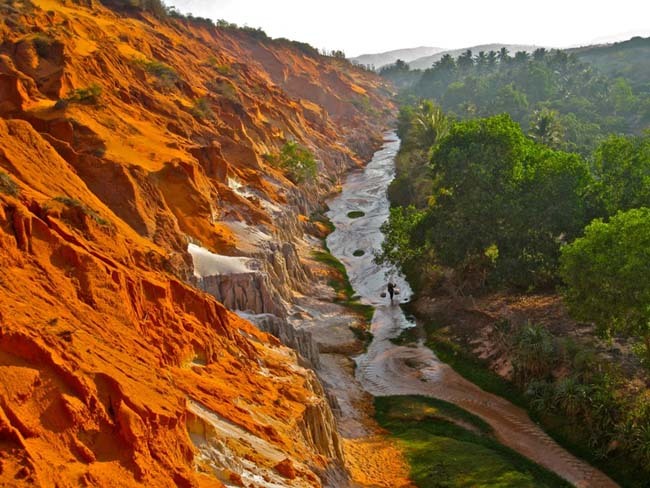 The stream is a walking stream with gorgeous sand valley and natural stalagmite hill in white and red color. Thanks to the denudation of time, those stalagmites are creatively sculptured to create such beautiful works. 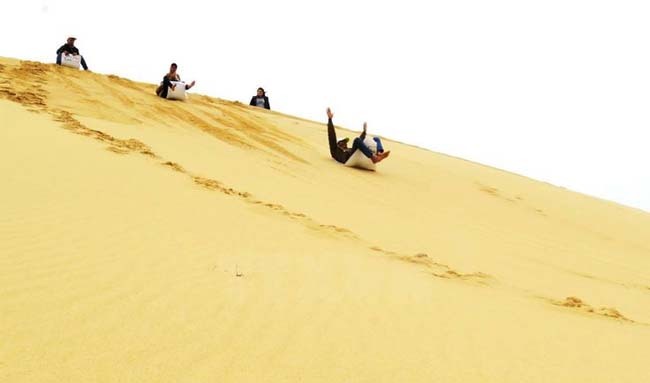 Yellow sand dunes: This place is also called “the flying sand dunes”, which is a few kilometers long from Binh Thuan Province to Ninh Thuan Province. The sand’s color is very attractive due to the combination of yellow sand and old iron ore. At this place, many beautiful photos were born. The shape of sand dunes is unidentified because the always change by the denudation of wind. 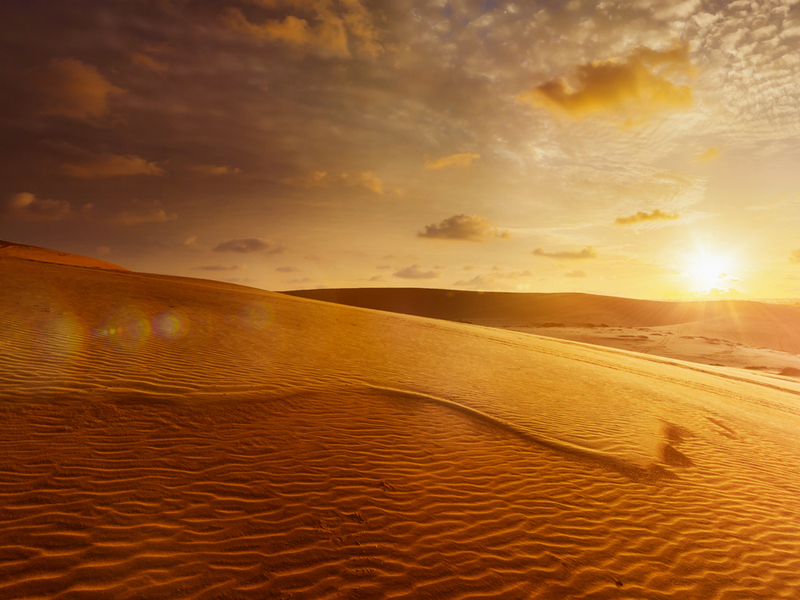 For a long time, the yellow sand dunes have become a symbol of Mui Ne’s tourism. Hon Ghenh: This place possesses such spectacular landscape with many cliffs near the coastal line and little sandy beaches. On the top of Hon Ghenh is Ba Vang Temple, while at the end of it is Thach Long Temple, which is a beautiful temple with peaceful atmosphere and picturesque scenery. 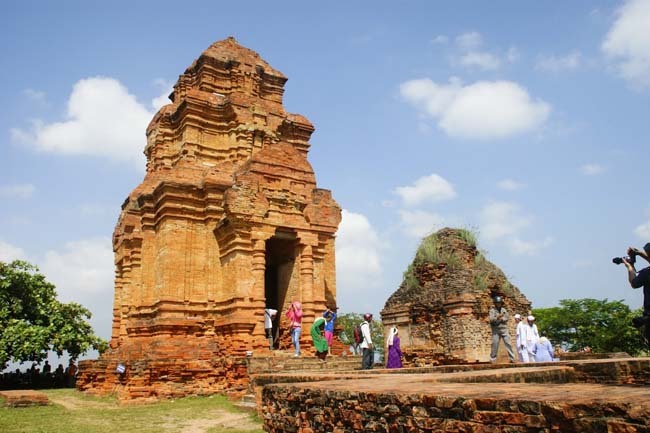 Cham Temple – Poshanu: The temple, which is about 7 kilometers from Phan Thiet City, is located on Ba Nai Hill. This temple belongs to the remaining of ancient Champa Kingdom. The Cham Temple Poshanu has such a holy, mysterious and religious beauty. 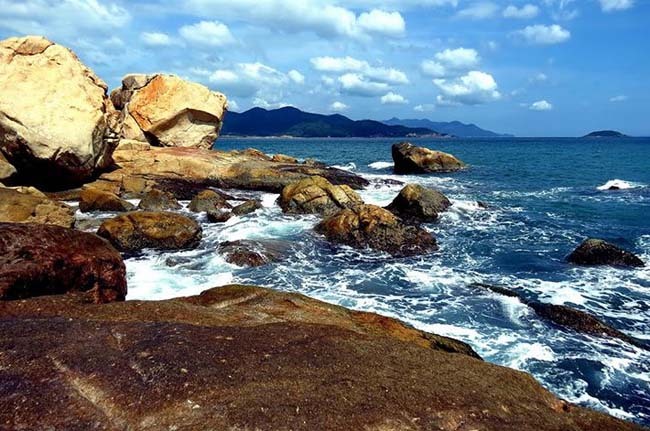 It has become one of the most attractive tourist attractions in Mui Ne and Binh Thuan Province. What to eat and Where to eat in Mui Ne? Vietnamese Clear Shrimp Pork Dumpling: This dish has become a must-eat dish of Binh Thuan for a long time. On traveling here, you should try this dish once and you will not forget its unique taste. Vietnamese Thick Noodle Soup: This is a simple and nutritious dish. You can eat it with bread. There are also many kinds of this dish such as thick noodle soup with grilled fish or thick noodle soup with steamed meatloaf. Seafood salad: There are many versions of this dish such as fish salads, murex salads. The fish salad is usually made of white sardine, sillaginids with fresh vegetables, vermicelli and a special sauce. On the other hand, murex salad is made of murex, pork, fresh vegetables, fried onions, and fried peanuts with sour, sweet and tasty fish sauce. Banh can (Mini-pancakes): The full name of this dish is “Banh Cang” because the pancakes will inflate when the heat is hot enough. The dish is made of rice flour and poured into a hot pan, such as Banh Khot of southern provinces. A sole difference is that we need not add vegetable oil into the pan while making Mini-pancakes. The cakes will be carefully grilled and served with fried onions. Rolled Grilled fish: The fish is rolled inside a rice paper, looks like the spring rolls. This dish tastes best with Cassava and sauce, which is made of fried peanuts, fermented pork, and basil, salads, and Houttuynia cordata. Butterfly lizards: The butterfly lizards are regarded as the specialty dish of sand dunes. They usually live in caves and find their foods, which is little buds, in the morning and enjoy mist in the evening. Because of this, their meat is extremely sweet and tasty, sometimes; they are also used as herbs. Butterfly lizards’ meat is as white as chicken meat but much sweeter and softer. They can be used to process delicious dishes as grilled, steamed, roasted butterfly lizards, butterfly lizard porridge, butterfly lizard salads, etc. Shrimp paste rice paper: This dish is a common street food, which you can easily catch sight of them on many streets of Mui Ne, Phan Thiet. The rice paper is grilled on hot coal stove with the addition of shrimp paste, quail eggs, and spices. With wide and huge sand dune, crystal-like water, beautiful beaches, picturesque fish villages at sunset, etc. Mui Ne has a mysterious charm that will satisfy any tourists, especially when exploring it by the motorbike. 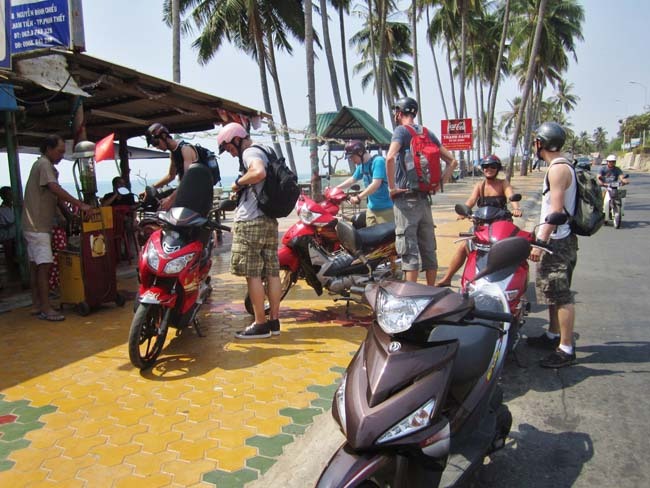 You just need to pay for 200.000 VND (about 8.76 USD) to hire a motorbike and start your memorable journey! Located at Mui Ne, the “flying sand dune” always shows its attractiveness to tourists. The uniqueness of this place is the changing shape and color of the sand dune. You may see the sand dune covered in yellow color, sometimes, in white, gray or even dark red color, however, it is always a gorgeous picture at any time. Enjoying sandboarding is such a wonderful experience. With a simple board, you can slide from the dune’s mount to its foot. This game is extremely suitable for those who love adventurous activities. With long coastal line and windy beach, Mui Ne has become an ideal destination for sports, especially, surfing. 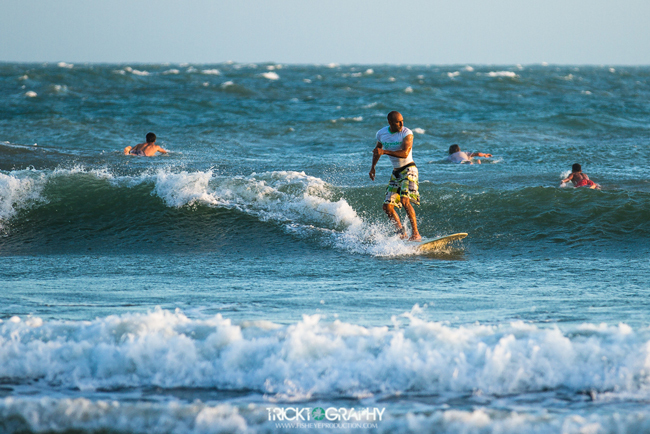 You just need to prepare a professional surfing board and the caring team here will carefully instruct you how to enjoy surfing on high waves.